With NaNoWriMo around the corner, many authors are gearing up to weave worlds, characters, and stories into novels with their words. But… how many words does a novel make? And when it comes to creating art, just how important is it to stick to the rules — such as standard word counts? Well, if your goal is to publish and sell your novel, those rules are pretty darn important. 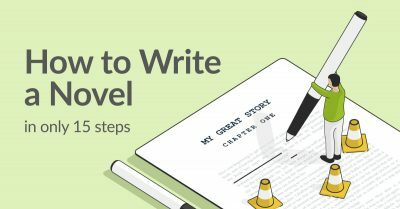 As with many publishing standards, word count guidelines exist for a number of reasons — including marketing and sales — but also to help create stories that are free from plot or pacing issues that can exhaust readers. You wouldn’t be reading this article right now if a quick scroll down showed an apparent 10,000 words, would you? Should you bend the rules? “Word count limits sometimes seem as though they are stifling artistic flow, but they are usually there for a reason,” says Freelance Editor Lisa Howard. Similarly, if your book is published and lands in a bookstore, you don’t want to turn away prospective readers with a bizarrely small or large book spine. Word count signals to people what kind of book they’re dealing with. Readers looking for a good beach-read in the ‘Mystery’ section will not likely gravitate towards a 1,000-page book. PRO-TIP: If you're curious about how long a chapter should be, check out this post that's all about chapter length. These numbers are quoted popularly among other writing associations, too. Then again, according to NaNoWriMo, manuscripts must be over 50k words to qualify. If you think that seems short for a novel, you’re not alone. The sweet spot for a novel’s word count is generally quoted as sitting around 80-90k. 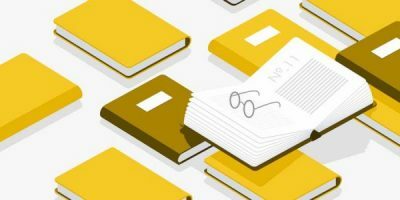 However, many books have managed to win the love of readers over the years with just 40-50k words: Fahrenheit 451, The Hitchhiker's Guide to the Galaxy, The Great Gatsby, and Slaughterhouse-Five, to name a few, are all between 46-50,000 words. You should also be aware that word count standards differ vastly by genre. Could you, as a first-time novelist, get an agent or publisher to bite at your 200k-word YA epic? Maybe — but it would be tough. 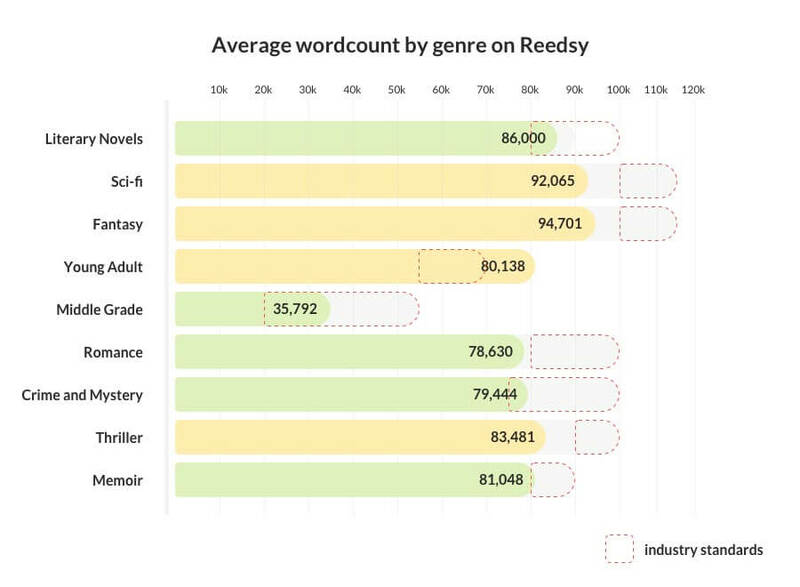 To verify whether your novel falls above, below, or in the ideal word count for its genre, take a gander at the recommended word counts from Reedsy’s editors below. Of course, many books will smash these rules. George R.R. Martin’s longest novel in the A Song of Ice and Fire series is A Storm of Swords, at 424,000 words. JK Rowling’s longest novel is Harry Potter and the Order of the Phoenix, totaling 257,045 words. And The Fellowship of the Ring sits at 187,790 words. Granted, of all the industry standard novel lengths per genre, fantasy sits at the top. But even with that in mind, these novels are long and are actually classified as “epic novels” due to their length. They were also all published by authors after they’d already become famous and built a huge fanbase, making the companies that published them lots of money. So if you’re at that point in your career as well, go for it! To see exactly how long epic fantasies can get, check out these 12 books like Game of Thrones. This is not to say that epic novels are a form of storytelling reserved only for bestselling writers. Diana Gabaldon’s breakout novel, Outlander, totals a cool 305k words. But if you’re still getting your start, proceed into the 100K+ word count with caution. Does your novel meet word count guidelines for its genre? Double check here! How do Reedsy books compare? Overall, manuscripts received by Reedsy editors seem to fall squarely within the industry averages, with a few minor outliers. “Like with anything, an exceptional manuscript can result in exceptions to the rule,” says Jackie Bates. However, working with a professional editor is really a rule of thumb for ensuring your manuscript is in tip-top shape — and that includes your manuscript’s word count. What’s important to remember is that a word count that exceeds industry standards is not merely an arbitrary reason for publishers and agents to refuse a query or pitch. Most of the time, an overly long word count is a symptom of major plot or pacing problems in a novel — issues that need to be solved during the revision process. Of course, hiring a professional editor does come with a price tag, and most freelancers calculate their costs based on the number of words. In light of this, several Reedsy editors have been kind enough to offer tips for authors who are in the revision process and looking to cut down on word count. The rule of thumb is that you shouldn't worry about word count when you're writing your first draft — and it should be even less of a concern in the outlining phase. 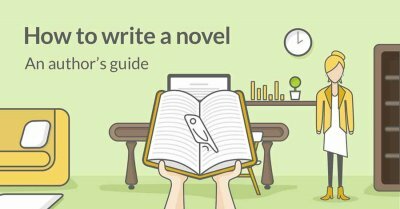 If you'd like to learn more about that topic, we write extensively about how to outline a novel here. However, if you're done with your first draft and you're shocked by the amount of words in it, it might be time to cut down. Let the words of Truman Capote be your revising mantra: “I’m all for the scissors. I believe more in the scissors than I do in the pencil.” Grab your scissors and take these tips into account. Sign up for this free 10-part course! Enter your email below and select 'Editing - How to Self-Edit Like a Pro' in the drop-down menu. "Put your manuscript aside for a few weeks before going back to it. With a little distance, you'll be able to see where there are superfluous scenes or unnecessary purple prose." 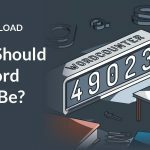 — Alli Brydon, former Associate Editor at Sterling Publishing Co., Inc.
CHEATSHEET: What Should My Word Counts Be? To make all of this info easier for you to digest, we created this cheatsheet for you to refer back to whenever you need. 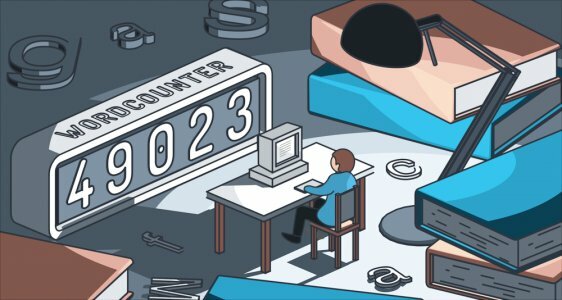 It has everything you might want to know about word counts — even how long a chapter should be. Unlock it below! We said it already, but it's worth repeating: authors should not underestimate the value of staying within standard word counts. 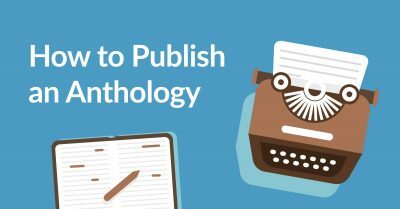 Editors in traditional publishing houses believe that it’s easier to market books that meet genre expectations, and if you’re hunting for a book deal or for an agent, you want to eliminate any reason for them to push your manuscript to the side. This sentiment acknowledged, these days self-publishing has given authors the ability to play around with the rules. 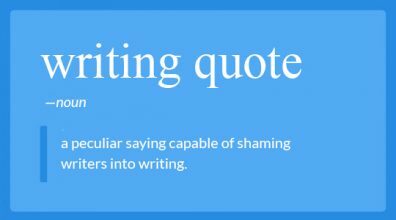 A good example of this is is John McCrae’s (aka Wildbow’s) novel, Worm, which was published as a web serial and is 1.75 million words long. And — in the vein of four-letter titles that start with “W” — there’s Hugh Howey’s Wool, which was originally self-published as a series of e-novellas. What are your thoughts on publishing standards, such as wor counts? Share your thoughts in the comments below. These word counts are far too long. For an unknown author, 60,000-70,000 words should be the maximum. hope so. I'm coming in at 65k for my literary fiction novel. Absolutely right. Publishers' readers are lazy, they won't plough through a War-and-Peace-style odyssey. The maximum?? That's the exception to what gets published today in commercial fiction. A 65,000 word book is somewhere between 200-300 pages. I can't think of a novel I've bought recently that was that short -- The Nix, The Son, The Nest... only Woman No. 17 is that short and it's basically all dialogue. Thanks. Good topic. Been cutting and adding to my supposedly finished novel. Nice to know that at 75k words I'm okay. As stated at the very very end of the article. The importance is the telling (showing) a good story. If it takes 20,000 words or 200,000 words to convey, then that's what it is. I also wonder if today there is a need to adjust these so called "standards" as I think readers are more inclined to shorter books especially of lesser known's. For indies, the sales statistics (check the Smashwords surveys the last few years) tend to dispute that; their best-selling sized books are over 100k in length. My personal preference for crime fiction is towards the shorter end - around 60,000 is often a sweet spot but it is completely dependent on the story. The word counts being described here are still being driven by the traditional publishing industry that likes book spines of a certain thickness. Readers have, to some extent, been conditioned to think of this as being the 'right' length but I don't think it stands up to scrutiny. Crime fiction is my interest and I've read so many books of 75,000-100,000 that are far too long with meandering uninspiring sub-plots. Many authors would be happy to cut these extraneous scenes but they are obliged to submit manuscripts of a certain length. Thanks for the post - it is useful to have guides and discuss this but that last para should be writ large. Indie published authors need to make story their number one priority. Well done, Eloise McInerney, for being true to your vision instead of trying to fit your story into the Procrustean bed of industry-standard word lengths. I, too, love nice fat novels and often come away from skimpy reads feeling "books don’t have enough in them”—like Maggie Tulliver in one of my favourite novels, The Mill on the Floss (word count 205,616). My debut novel, too, is very robust. In its first form it was pushing 300,000 words. Successive revisions brought it down almost 30%. But this is what I’m still hearing from agents: “The premise of DS is captivating but a novel this long by a début author is sure to garner a rejection from publishers.” If there’s a way to further halve this generation-spanning family saga without jeopardizing the integrity of the whole, I hope my wonderful reedsy editor, H. Demchick, will help me get there! However I am very happy that he believes "every story has its natural length" and that "the most important thing is the quality of the novel itself.” After watching my brother die of anorexia a year ago, I don’t want to see my book do the same. Less is not always more. So more power to you, Eloise, and let’s be thankful for resources like reedsy! Glad to hear that someone else shares my love of big books. We'll just have to convince those publishers that big really is better ;-p Good luck with your novel, I hope it succeeds. I agree that stories all have their natural length, and epic is called epic for a reason! Just self-published my first novel on Amazon -- 164,000 words. It's a contemporary fantasy. 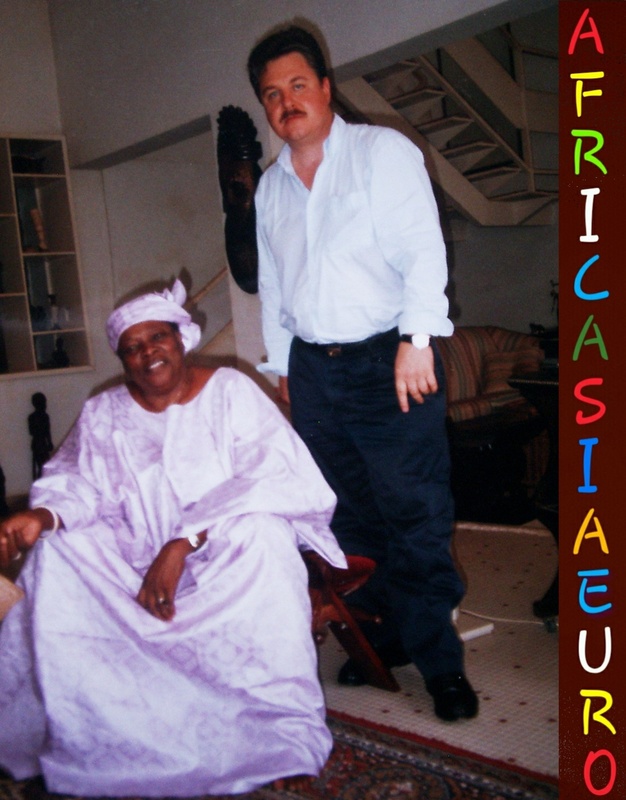 I had several reasons for taking the self-publish route and length was one of them. I had read too mant articles that expressed the same sentiments as this one. None of my beta readers complained about the length. In fact, most commented that they weren't ready to say goodbye to the characters and they want a second book. One drawback of self-publishing a hefty book, though, is that it costs more for the physical copy. My first novel (thriller) came in at 129,000 words after the first edit. I worked hard and cut it down to 105,000. I hesitate to cut it more but I'm sitting it sit while I write the sequel before I take another look. I read a lot of books every year, and I read fast. Checking my Kendal library, I've read 423 books over the last two years. Choosing between books, if several pass the blurb and 'look inside' tests, I almost always buy the longer one. I love finding a good story that lasts 450 pages, or longer. I feel cheated if a book is only 250 pages. Does anyone have any idea about word count for the Mind, Body and Spirit genre. I have just finished a book (in collaboration) and have received some feedback that it's too short. The book is 28,000 words. I have read that "new age" fiction should be between 60k-85k words. Hope that helps! 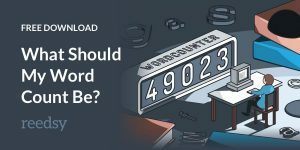 Free Download: What's the Right Word Count? 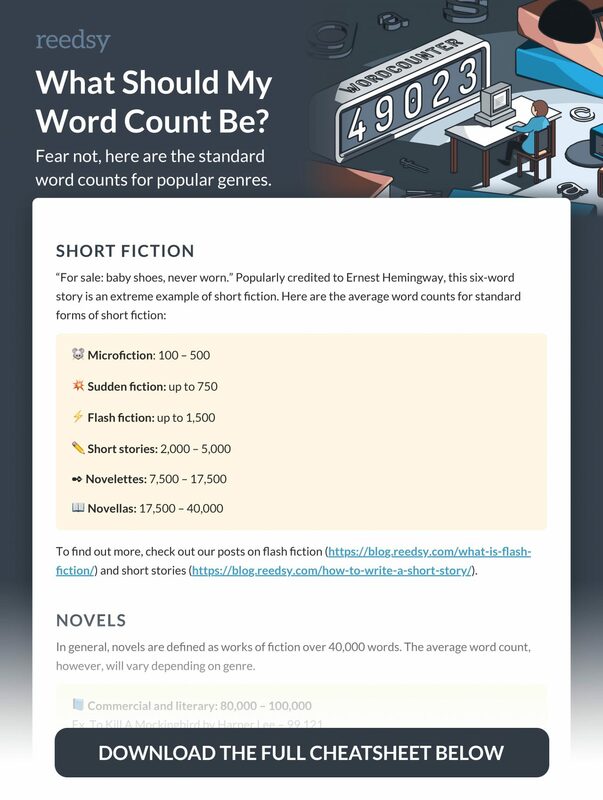 Discover the industry-standard word counts for novels, short stories, and more!